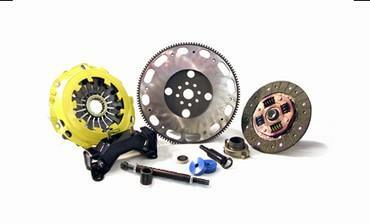 COBB Tuning Drivetrain Package SUBARU - Dezod Motorsports Inc - Home of the automotive performance enthusiast since 2002. To further increase response, transfer more power to the ground, and add further reliability we offer our Stage 2 Drivetrain Upgrade. With this system installed, your car will rev faster and shift feel will improve drastically over stock. It will also hold higher power levels, far beyond the stock clutch’s limits. We include all of the components from Stage 1 as well as other tested features to assure your drivetrain can handle higher power levels and more aggressive driving styles. Designed for the enthusiast who wants a track-worthy drivetrain while still being able to enjoy their car on a daily basis.